McDonald’s is supporting the development of its next generation of restaurant managers through a bespoke new Degree Apprenticeship with Manchester Metropolitan University. The Chartered Manager Degree Apprenticeship programme blends McDonald’s own in-house leadership development training and workplace experience, with the latest retail business theory. In their roles working for McDonald’s, participants already manage busy restaurants, providing excellent customer-centred service and the programme will help further develop their management knowledge and the skills and behaviours of successful managers who know how to get the best from the people in their teams. 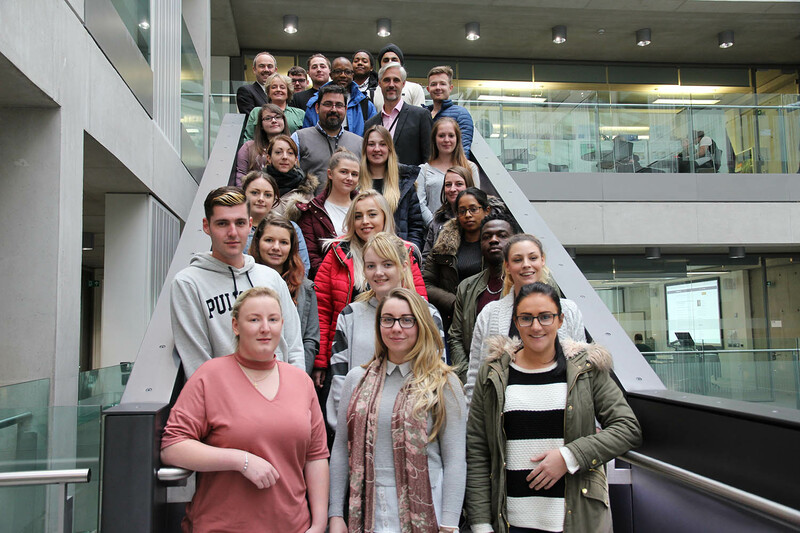 The programme’s first intake of 23 degree apprentices recently attended the University for their induction and week-long teaching block, meeting the academic team they will be working alongside and other McDonald’s colleagues from all over England. The programme takes a holistic view of retail management, first focusing on the people that make businesses a success, its employees, customers and stakeholders. As apprentices progress through the course they will explore themes such as operations management, finance and accounting, sales and marketing and project management. McDonald’s UK Director of Talent & Learning Richard Evans commented: “We have always focused heavily on developing our people with an industry-leading training curriculum, being able to offer a Degree Apprenticeship to our Restaurant Managers is a great extension on this. McDonald’s UK has a longstanding commitment to recognising the pivotal contribution of its employees and its responsibility to help develop them, and earlier this year was again named among the best big companies to work for by The Sunday Times. The programme strengthens the relationship between the two organisations, who began working together when creating an accredited foundation degree programme in 2010, which now has more than 100 graduates. Andrew Lewis, Senior Lecturer in Retail Operations and Programme Director at Manchester Met, said: “We are delighted to be working with McDonald’s on this new Degree Apprenticeship, which provides an immersive learning experience and supports their colleagues to thrive in this dynamic and fast-paced environment. The programme adds to a growing suite of tailored Management Degree Apprenticeships at Manchester Met, which have been designed to align to an individual employer’s own requirements.